Can you feel it? Can you feel spring coming yet? Probably not, but that is alright because spring will be here before we know it! 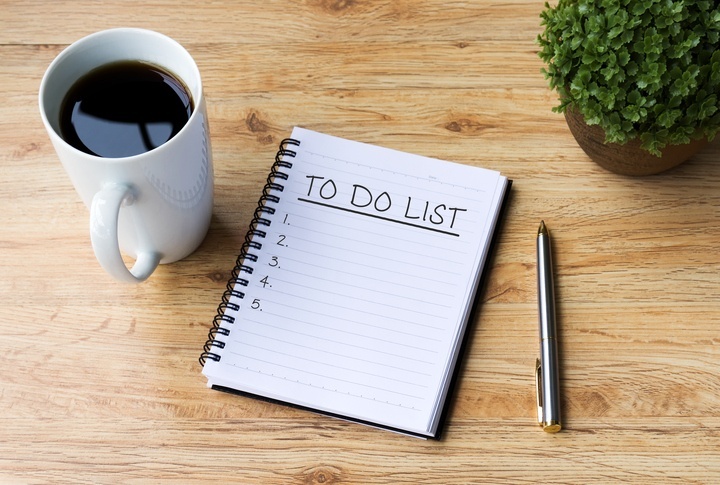 January is coming to an end and it is time to start making your to-do or “honey-do” list for your spring lawn care service. Your list can include finding a lawn care provider, materials to buy, treatments you want done, or maybe some lawn and landscape ideas. Having a healthy lawn has many benefits. A greener lawn can give your house a big face lift and increase the curb appeal. With a more beautiful lawn, you may find yourself enjoying your patio regularly while the weather is warm and soaking up some additional vitamin D. Get a head start on making your yard your happy place this year with our spring lawn care service to-do list! 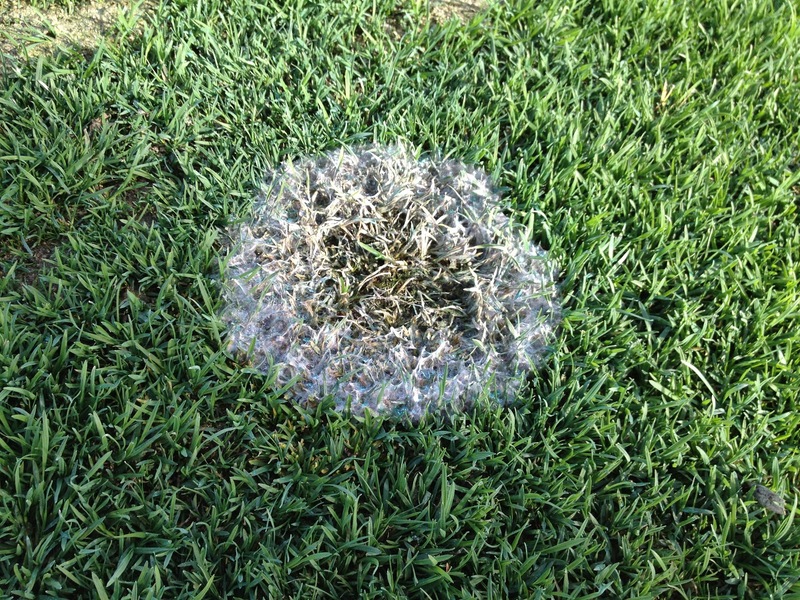 Snow mold is a byproduct of having heavy snow and ice suffocate your grass for months. The damp conditions a lack of oxygen create a perfect environment for mold to grow and thrive. The affected areas will be grey, pink, or white and have clumps of fungus that look like cobwebs. Grey or white snow mold will not necessarily kill your lawn, but if you spot pink spots, you may want the contact a professional because it can be lethal to your grass. To treat this you will need a rake and some fertilizer. Lightly rake out the snow mold to help break it up then add a small amount of fertilizer on top to help the grass fight it off. It is very important not add too much fertilizer or else you will feed the fungus and hurt your grass more. When your lawn wakes up and the roots are ready to start growing again, your grass is going to be hungry. Fertilizer is going to give your yard the nutrients and energy it needs to grow green and give you a full yard. If you are doing the do-it-yourself way this spring, be sure to add a soil sample kit and fertilizer to your list. You will need a soil sample kit to find out exactly what fertilizer you will need to purchase, if you do not already know. Different levels of nitrogen, phosphorus, and potassium occur naturally in different soils. Testing the soil will let you know which nutrients need to be supplemented. Buying the right nutrients is key for maximizing your lawn's health potential. The amount of fertilizer and tools you will need will be based on the size of your lawn. Fun fact: fertilizing your lawn can also help with weed control. Soon after the weather breaks and you feed your lawn, it will start to grow. When you notice some growth in your grass, you will be able to start mowing. If you haven't done any lawn mower maintenance in a while (or ever), this early spring will be a great time to do it! If you did not change the oil in your mower at the end of last season, it is probably time for an oil change. Dirty oil can lead to overheating and tear up the engine so add an oil change to your to-do list. Do some research on you mower care. Look up a video or two on how to tune up your lawn mower specifically. Imagine getting your hair cut with scissor that are dull, OUCH! Your hair would be pulled and yanked out rather than being easily snipped. That is exactly what happens to your grass with a dull lawn mowing blade. Sharpen your mower blade this spring to avoid ripping up your lawn. After you have sharpened you blade and serviced your lawn mower, it is time to roll. Lawn mowing begins as soon as grass growth begins. Mowing your lawn seems like it should be simple, but there are some tips you should follow for mowing to keep your lawn healthy. You may think that cutting your lawn shorter is better for the grass, but I am sorry to tell you that is not true! Set your blade height to 3 or 4 inches to improve your grass health. Higher blades will prevent diseases, retain more water, and give the roots shade. Mowing your lawn often during the spring will help the health of your grass. It is important to maintain that lawn height of 3 or 4 inches. Do not repeat the same mowing route around your yard every time. Change up your mowing pattern. This will help you avoid leaving “stripes” on the same areas all of the time. Yes, the stripes are aesthetically pleasing, but the grass in these areas are not standing upright so the grass blades are only receiving sunlight on one side. If you do not feel like putting all of the above things on your to do list, just put one thing - hire a professional lawn care service. Good news, you can have a beautiful healthy lawn without touching fertilizer or a lawn mower. Just pay someone else to do it! There are plenty of lawn and landscape companies in Northeast Ohio who would gladly take care of your lawn. The lawn care service company will do a lawn analysis and know exactly how to treat your yard. You will be able to choose a service plan that will work perfect for you, whether you want them to do everything or just some treatments. Professional yard care services should have great customer service, including coming out for touch ups and additional weed control. When searching for a lawn care service company, check out reviews on Google to see if previous customers were satisfied with the results. Call multiple companies and get different service estimates. This way you will know if you are getting the best deal possible. Ask questions, negotiate, and find the best company for you!